The College of Liberal Arts includes the departments of English; History and Geography; Mass Communication; Humanities and Philosophy; Political Science; Modern Languages; Sociology, Gerontology, and Substance Abuse Studies; and the School of Criminal Justice. The college offers more than two dozen undergraduate programs as well as minors and graduate degrees. Every student who begins their educational journey at UCO will take numerous courses in the College of Liberal Arts before a degree is granted. As such, it is the mission of every member of the College of Liberal Arts to challenge students to speak clearly, write well, appreciate difference, ask questions, act ethically, participate, value the past, encounter the present, and create the future. The public is invited to the University of Central Oklahoma’s First Amendment Day on April 25 to hear national and state speakers address the five freedoms guaranteed and debated in this country. UCO President Don Betz declared April 25 as First Amendment Day on the UCO campus in conjunction with the launch of the 50th year of the Oklahoma Journalism Hall of Fame, which is housed on campus. The 49th class will be inducted on April 25. 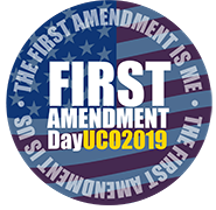 The “First Amendment Day” conference will be from 10 a.m. to 6 p.m. Thursday, April 25, in UCO’s Mass Communication building and the Nigh University Center. It is being organized by the co-chairs, Erin Barnett and Trevor Stone, and advised by Hall of Fame director Joe Hight. 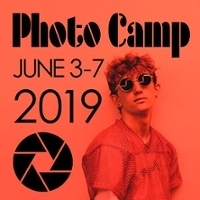 Applications now are open for the University of Central Oklahoma Department of Mass Communication’s weeklong photography day camp for high school students 10 a.m. to 4 p.m. June 3-7, in the Communications building on Central’s campus. The camp aims to provide students with a better understanding of photography’s many genres and offers a preview of Central’s photography program. Lessons feature traditional portraiture, through the use of high-end lighting equipment in a professional studio; fashion photography, with field trips to various off-campus locations; black and white film photography and darkroom techniques; and Photoshop and digital printing.